The highly-trained team of dentists at Dental Studio at Rosslyn strives to offer a comfortable, pleasant experience for every patient. At their metro-accessible, state-of-the-art facility in Rosslyn, Virginia, dentists Abdallahi Sidi El Moctar, DDS, and Reza Tahernia, DMD, provide unparalleled, personalized dental care in a warm and welcoming environment. 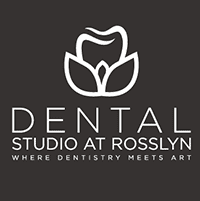 Whether you're looking for general, cosmetic, or implant dentist, Dental Studio at Rosslyn has expert clinicians that can take care of all your dental needs. We believe in the team approach to dental care. The compassionate team at Dental Studio at Rosslyn understands trips to the dentist can be overwhelming. That's why they focus on comprehensive care and only use the latest technology to offer every patient a pain-free experience. Using the most advanced technology -- including intraoral imaging we are able to educate and show you our plan of creating a beautiful healthy smile.